I have a deep affinity for breakfast. I would literally eat breakfast all day long. 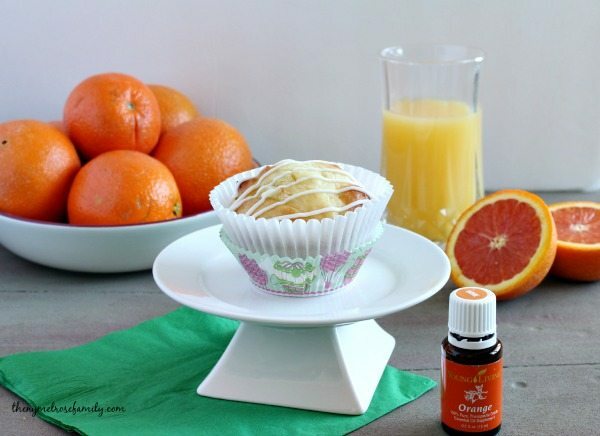 Since it’s summer and one of my favorite popsicles as a kid was an orange creamsicle it only seemed apparent that I would create Orange Creamsicle Muffins that could be enjoyed for breakfast or even dessert. They are just that good! 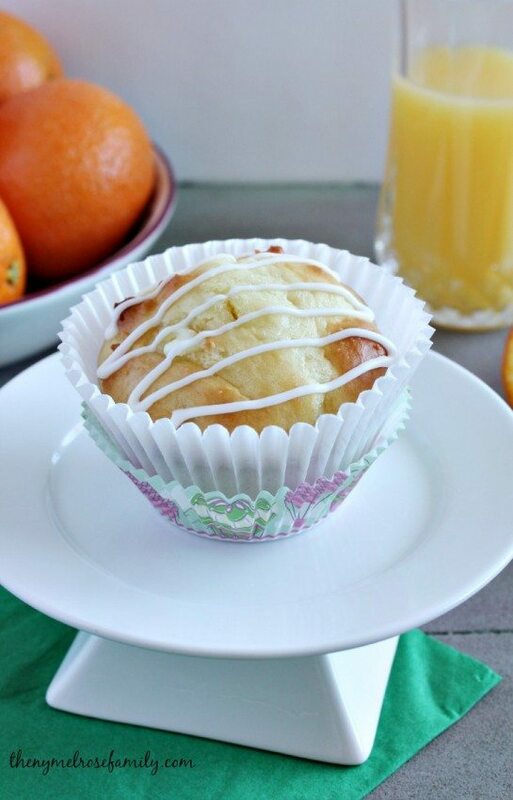 In my opinion, the best part of these muffins is the orange glaze on top. It is just so easy to whip up and it’s so versatile that it would go perfectly over a quick bread or even a white chocolate chip cookie. My love of white chocolate and orange definitely runs deep and I made sure to slip in a handful or three into this recipe. 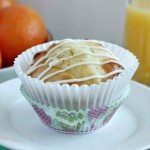 It really makes these muffins out of this world! This glaze is largely so easy because of my Young Living Essential Oils, which I have a tendency to love to flavor my frostings with. I’ve done a Strawberry Lemonade Cookie similarly and the frosting on the cookie is just to die for. Something to keep in mind when using essential oils is that not all essential oils are created equally. We only use Young Living Essential Oils and I also make sure to reference the uses of each specific oils before using it in my food. Not all oils are edible and you should be sure to do your research before using them in your food. 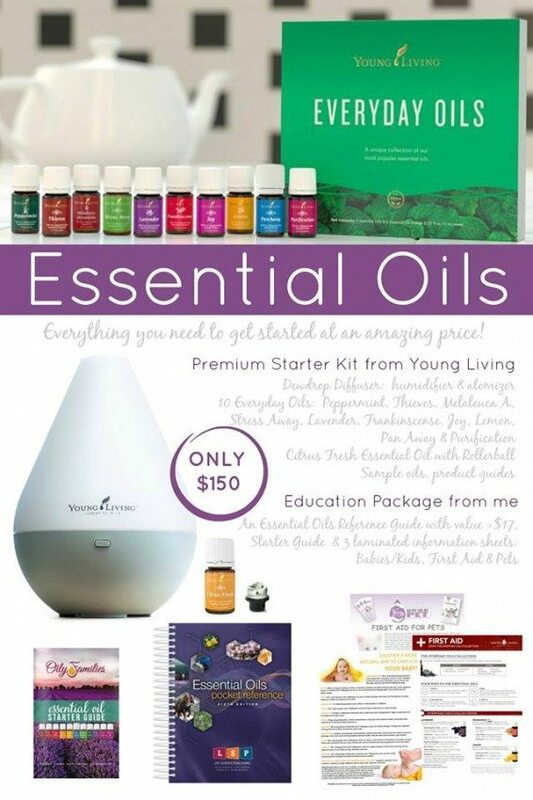 Since this recipe is largely dependent upon our Young Living Essential Oils it only makes sense that we should offer you, our fabulous readers, a fabulous way to get started with Young Living Essential Oils. This is by far the best way to take advantage of all of the uses of essential oils, while gaining the knowledge and support of our fabulous network of oil users. Click HERE for more info on how you can get your hands on the ultimate starter kit with 11 oils, a diffuser and tons of educational material. Combine the flour, egg, essential oil, vegetable oil, sugar, yogurt and orange juice in a large bowl and mix together. In a smaller bowl combine the salt, baking powder, and baking soda. Add the dry ingredients to the orange mixture and mix well. Add in the white chocolate chips and stir. Fill cupcake liners 3/4 of the way full with the mixture and bake 20 - 25 minutes at 350 F or until a toothpick stuck in the muffins comes out clean. 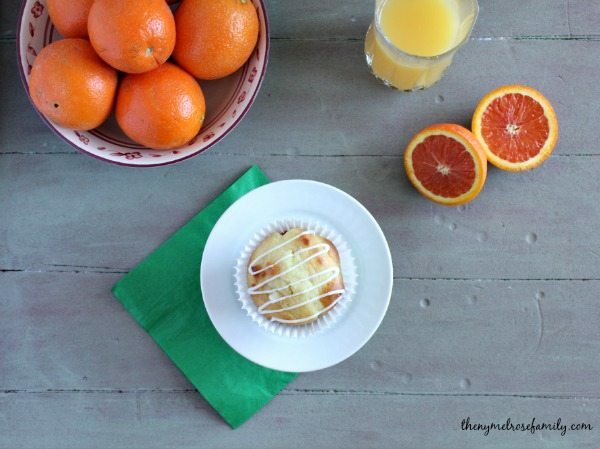 While the cupcakes are baking make the orange royal icing by adding all of the ingredients together and mixing well. 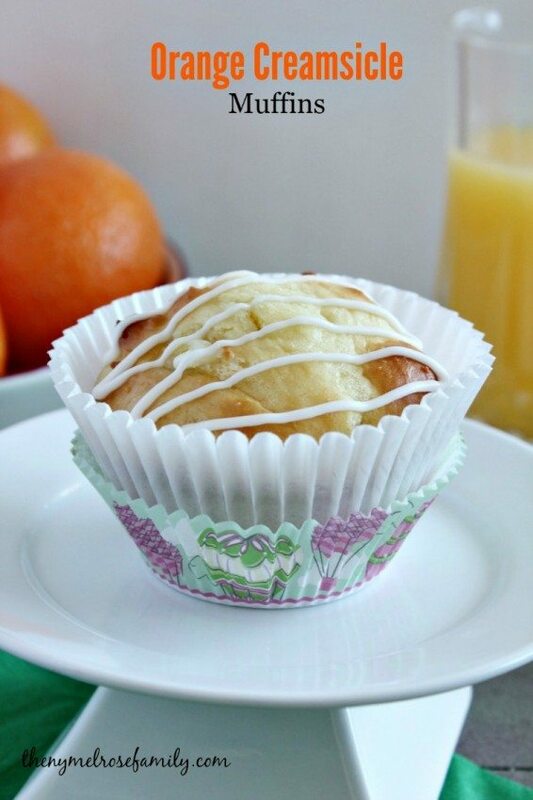 Once the muffins have cooled, drizzle the orange royal icing over the muffins. These look awesome – the Hubs loves creamsicles. I’ll have to make these pronto! Pinned! Oooh . . .those look so great that I can already taste them! !